This clear and easy-to-follow guide is the ideal tool for the complete beginner to quilting. 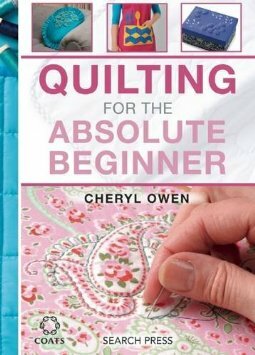 It is packed with expert crafter Cheryl Owens helpful advice and exciting projects, and guides readers from the basic stitches right through to more complex quilting techniques. Cheryl Owens guide is the ideal tool for the complete beginner to quilting. Step-by-step instructions and the spiral, hands free format enable you to practise and master each technique more easily. The book covers all the quilting equipment and tools, terminology and techniques, and includes a selection of attractive simple projects specially designed for the beginner.